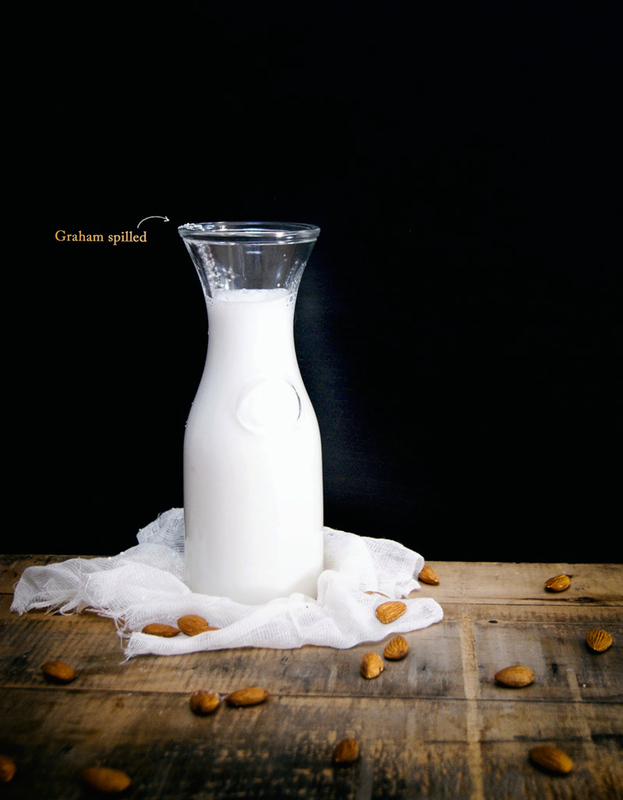 Almond milk is easy, cheap, and quick to make at home, without any strange additives! 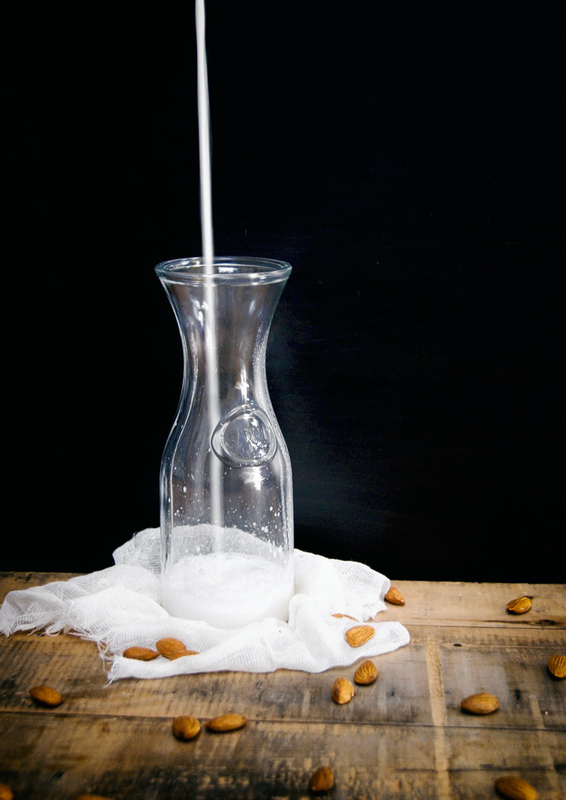 Just soak the almonds overnight, blend the next day, and you have homemade almond milk. Easy peasy. 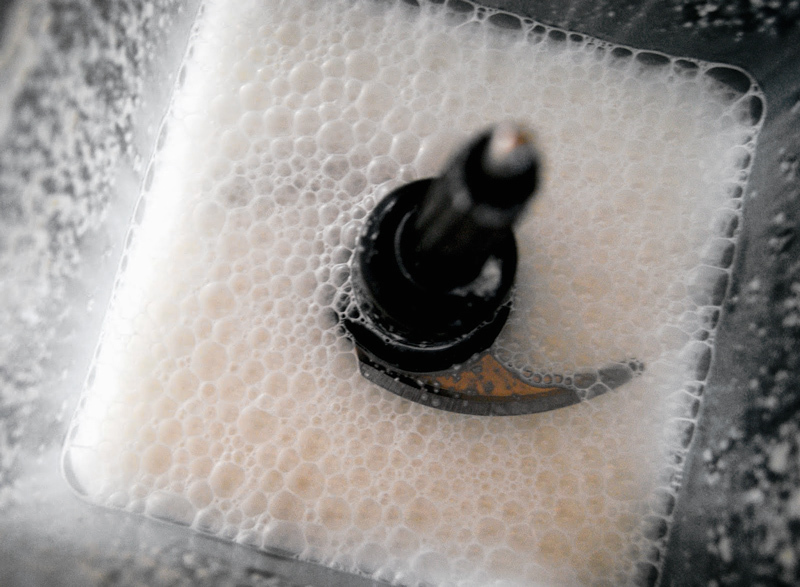 This is the first in a series about making non-dairy milks at home. The first part is various nut milks. We’re all familiar with almond milk, right? It’s readily available at just about any grocery store now, with plenty of different brands selling it. Here’s the deal, though. Store-bought almond milk (and all non-dairy milks) have a pile of unnecessary additives you don’t want in your body. 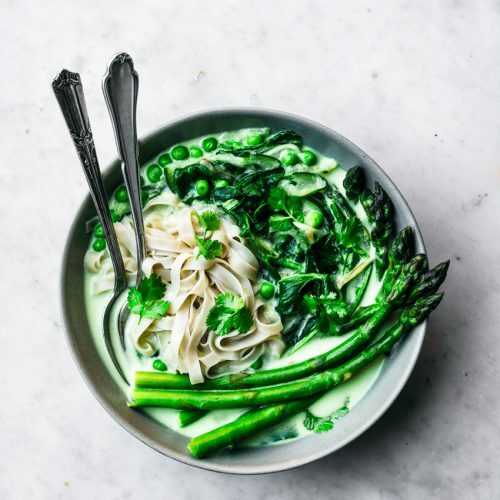 In particular, we should avoid carrageenan, which is commonly used in many non-dairy products (and sometimes in dairy items like sour cream) as a thickening agent. 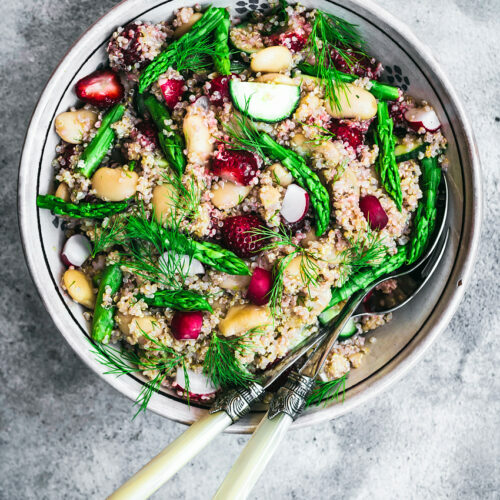 It can cause gastrointestinal issues in humans, especially those with disorders such as IBS. I know it bothers my stomach – it might be fine for you, and I don’t want to tell you what to do. If you find, however, that your stomach is often upset after consuming an item with carrageenan in it, I suggest giving it a break for a while and seeing if your symptoms improve. Homemade milk pretty much needs two ingredients. 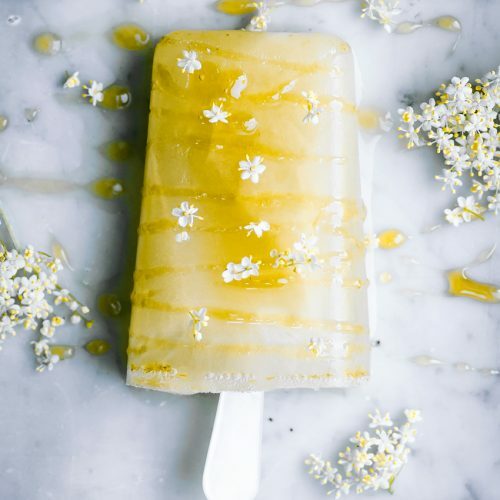 You can add others if you want to, like a natural sweetener, salt, vanilla, and so on, but all you really need is the base ingredient and water. Cheap and easy, yo. A full batch of homemade almond milk costs a couple bucks to make. Making it at home is great in a bunch of other ways, too. There’s less waste due to not having packaging, you know you’re not eating nasty additives, and you’re not supporting a corporation that’s essentially ripping you off. Yeah, it takes more time than buying it, so make your own decision. You will be left with some nut pulp after making this, and there are a couple options for that. You could just compost it, but it can be added to plenty of recipes. Try these chocolate snowball cookies, raw strawberry cake, or healthy raw marzipan – all use leftover nut pulp. I often toss it into almond granola too. If you have a dehydrator, you can also dry it out and use it as almond meal. Lots of options. The first step is to soak the almonds, preferably overnight, or while you’re at work for the day. 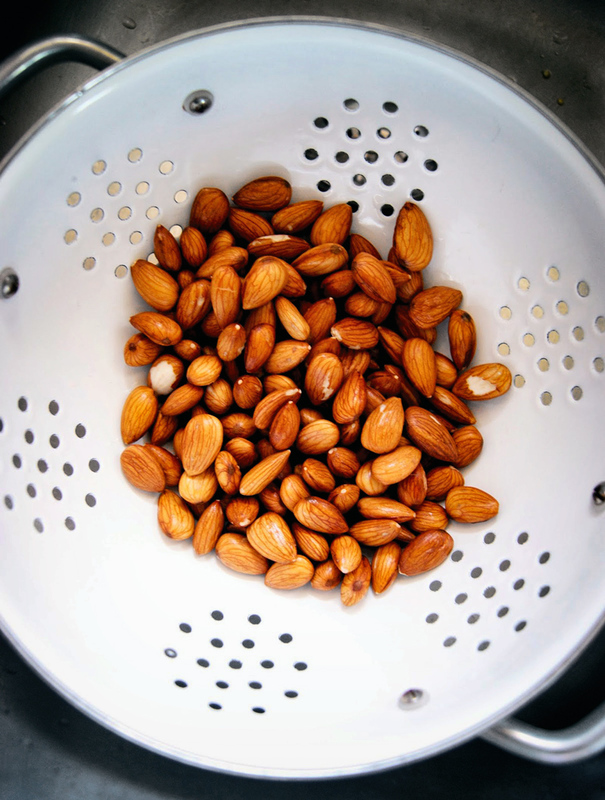 After soaking, you can remove the skins by popping the almonds out with your thumb and forefinger. The skins should come off really easily, but if they don’t, the nuts have probably been chemically treated and maybe don’t buy them again. I had that with some almonds from bulk barn. If you don’t feel like removing the skins, just don’t – it doesn’t make much of a difference in the final product. Filtered water is ideal for this so you avoid any weird extra tastes in your milk. You can either use cheesecloth to strain the milk mixture, or, if you think you’ll be making a lot of milk at home, pick up a nut milk bag. I used cheesecloth for a long time and it works just as well, but you can wash and reuse a nut milk bag a lot more easily than cheesecloth. They cost about ten bucks, so it’s probably worth it if you want to be a nut milker. Wink. One more thing! 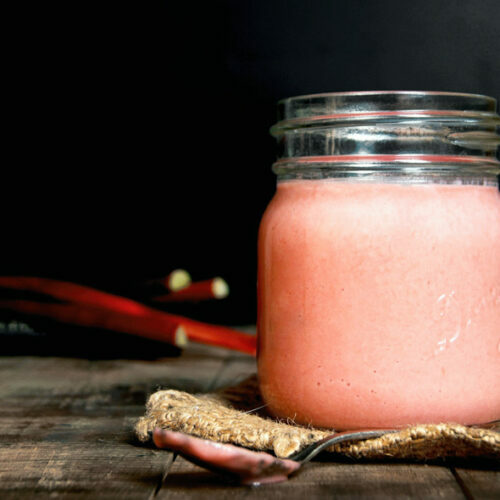 I know a lot of websites say that you need a really high powered blender, like a Vitamix, for making nut and seed milks, but you definitely do not. Those people just have too much money, I tell you. I have a ninja blender, which is pretty friggin affordable if you get it on sale, and it works perfectly. Blend everything together for a couple of minutes, or until it looks creamy and you can see that the nuts are teeny tiny little pieces. Strain through cheesecloth or a nut milk bag that's set in a fine sieve over a bowl, and squeeze out any remaining liquid with your hands. Store in a container or jars in the fridge for up to a week.